Had you seen this girl at 1 1/2 years old standing in a paddock, your first impression would have been wrong. She was so gangly and not the most Spanish looking. To truly appreciate her, you had to see her move. With that kind of movement, any other detail became moot. And our gamble paid off. By 2 we began to see the duckling transform into the swan. She earned Five National Championship titles by the Age of Two! And that was just the beginning! 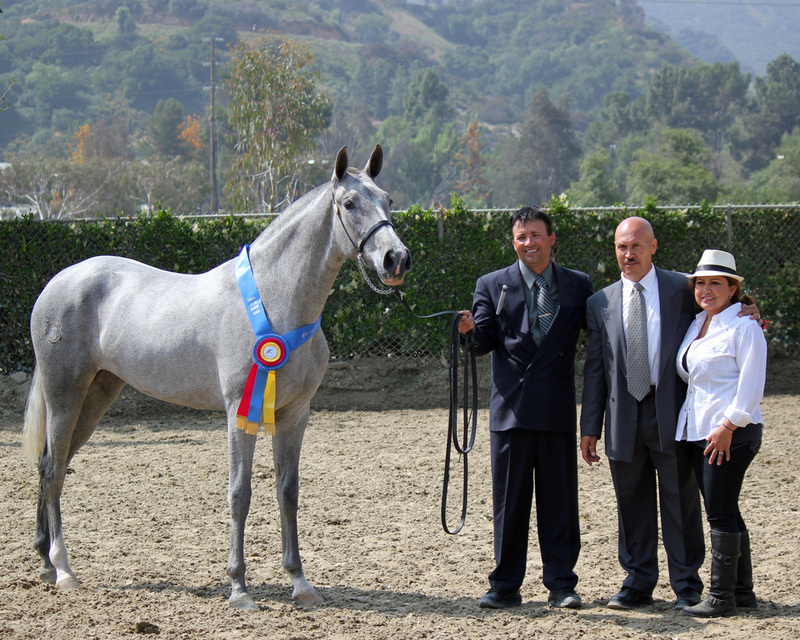 IALHA Amateur to Handle Mare Class, Thanks Saul Aguayo! 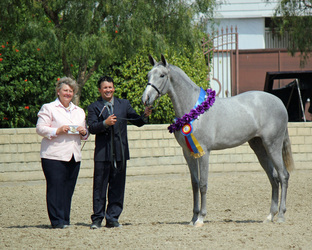 Luna did an outstanding job in her second show! 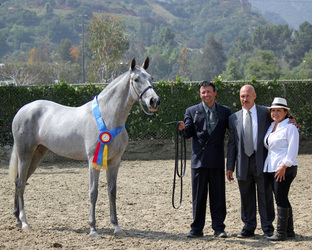 IALHA Andalusian Mare Halter- Amatuer Champion, Thanks to Saul Aguayo! Luna's performances were outstanding yet again! 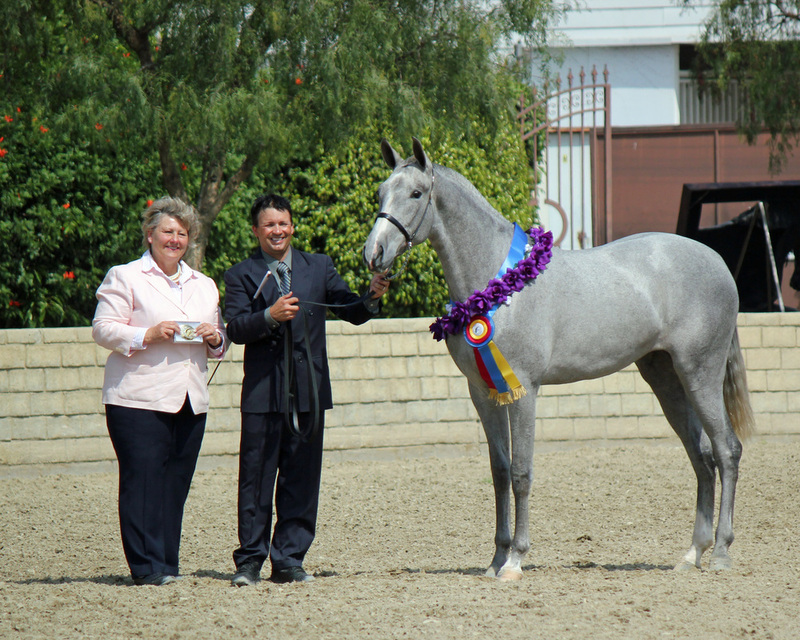 This was my first show handling Luna in a class, and what a thrill! I just love halter!! Luna made us all proud, what a filly!! Absolute Champion of Movement, at the age of 2, against adult horses! Wow!!! She won it ALL!! 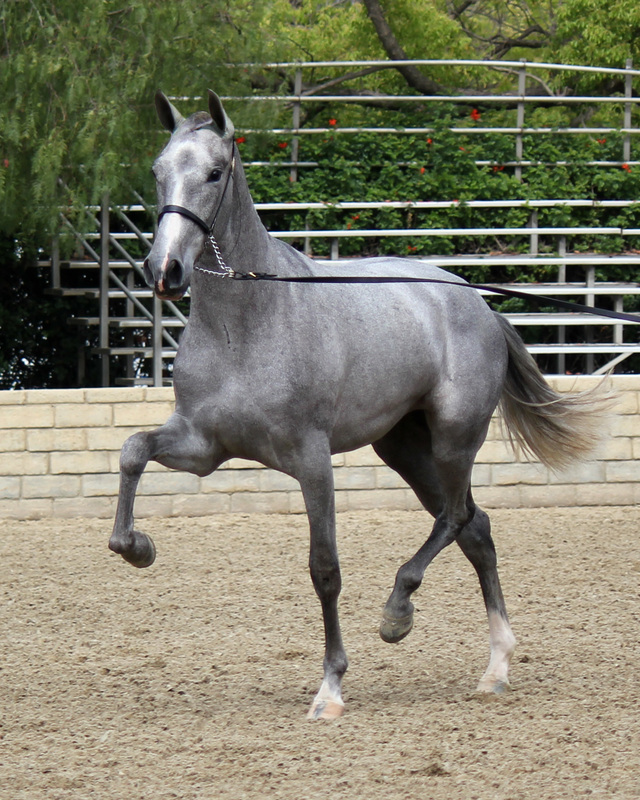 Luna's debut as a driving horse. No one could keep their eyes off this girl! She just keeps getting better!! We can not be any more proud of her!